A cemetery is the emotional center of any community. Woodlawn Memorial Park has served the people of the Guelph area in this capacity since 1854. Woodlawn Memorial Park is a not for profit organization. 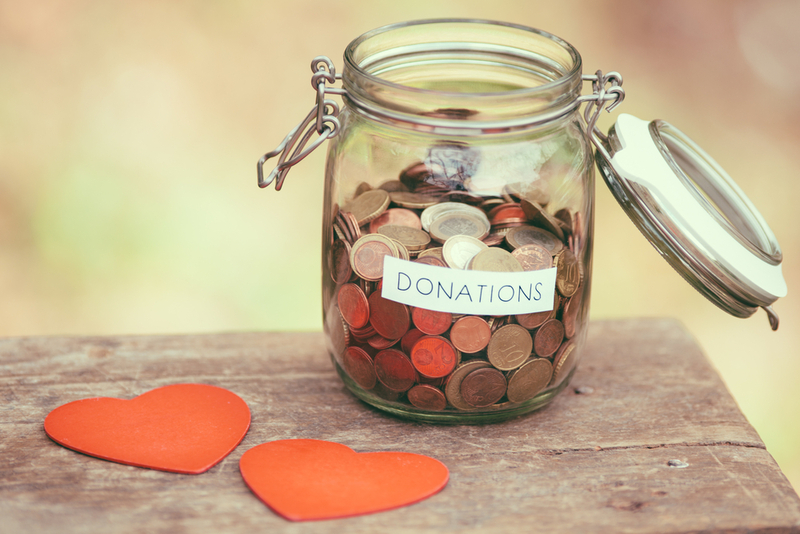 You may choose to direct your donation or bequest to our arbor fund or towards a specific goal, feature or event. This is your opportunity to support the Guelph Cemetery Commission with its vital services in the years ahead. Income tax receipts are issued for donations over ten dollars. If you value family continuity, a beautiful place to reflect, remember and acknowledge loss; if you appreciate events and services that strengthen the ties of family and friends; if you wish to help preserve the community history found in a cemetery, we urge you to donate to historic Woodlawn Memorial Park. 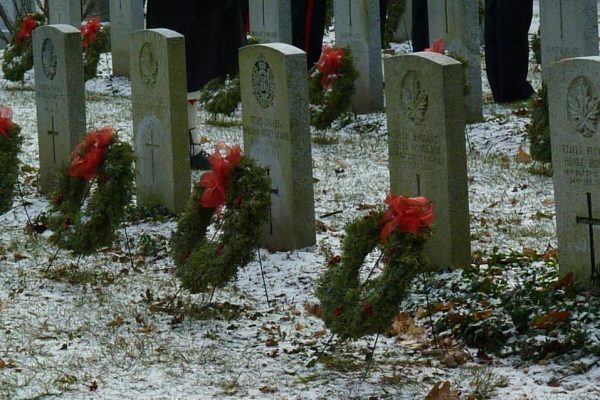 Each winter, we ask the for the Guelph community’s help with our Veterans’ Winter Wreath Project. 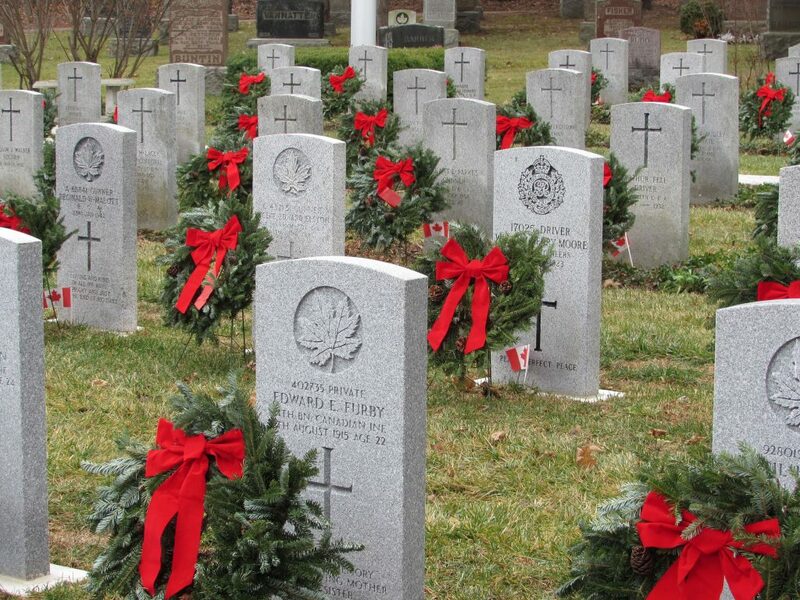 It is our goal to mark every veteran’s grave this winter, but we can’t do it without your help. Woodlawn Memorial Park is more than 160 years old. The trees are maturing and through the years we have begun to lose them. We invite you to give to the Arbor Fund which will go to buying new trees. Donations of $125.00 or more qualify for leaf on the Tree of Remembrance on display in our office. Another form can be a donation tree. Donors can designate their tree to a loved one. It’s a great way of keeping our park beautiful and remembering your loved ones, regardless of their final resting place. Contact our office for more information.